Descriptions: Feature plastic external material, 3 positions (ON/OFF/ON) , latching action type, 4NO+4NC, 16 screw terminals, fit for 3mm panel thickness. 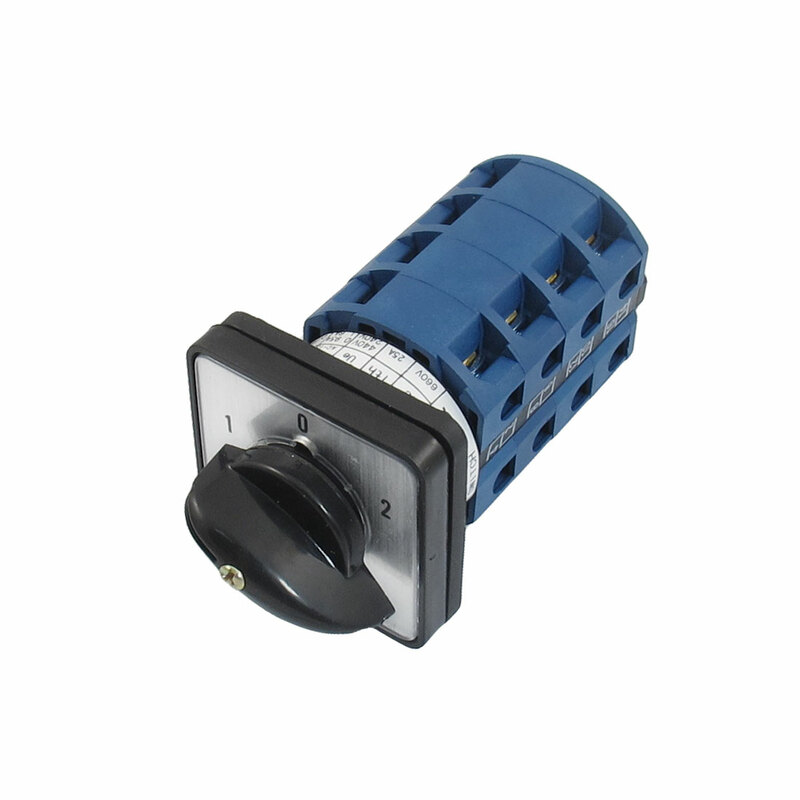 Changeover switch mainly suitable for electrical wiring in the power switch and mouse cage type asynchronous motor start-up, reversing, speed switches, also can make the conversion of the control circuit. When installing this Universal Changeover Switch, professional technique is required. Positions : 3Positions(1-0-2);Terminal Number : 16;Fit for Panel Thickness : 3mm/0.12"
Body Diameter : 45mm / 1.8";Overall Size(Approx.) : 50 x 50 x 102mm / 2" x 2" x 4"(L*W*H);Fixing Mount Hole Distance : 37mm/1.45"